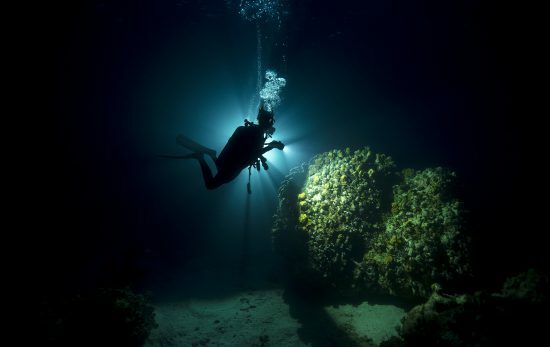 Since every dive starts with an entry, it’s important to know the different techniques for different environments. When making this decision, start by answering these three questions. What is the surface like where you’re entering? Is it a platform, a large boat deck, or a small inflatable boat? How deep is the water? Once you know the answers, here are some different kinds of entries you can choose. This is one of the most popular entries for entering deeper water from a large boat or platform. 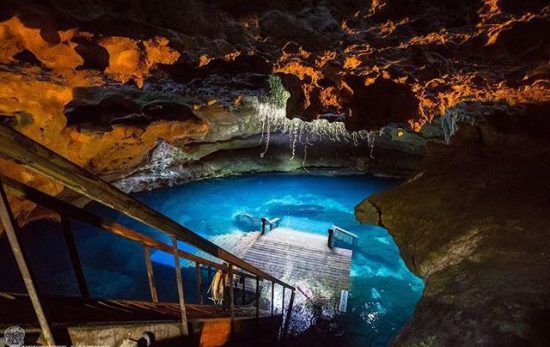 Although you’ll want to look straight ahead as you step off, first make sure there are no rocks or divers before entering. A favorite entry when on a smaller boat because sitting is easier than standing when waves cause the boat to pitch. In a forward roll entry, you can gather your gear under your arms, leaving your hands free to hold on to other equipment. This is a good one if you don’t have someone to hand you your extra equipment after entering. An entry for unstable platforms or when the water isn’t deep enough for a giant stride. The key to this entry is twisting and pushing yourself away from the dock without hitting your tank. If you’re beach diving in heavy surf, shuffle backward wearing your fins. If the water is calm, you can wade in and put your fins on when the water is at chest level. 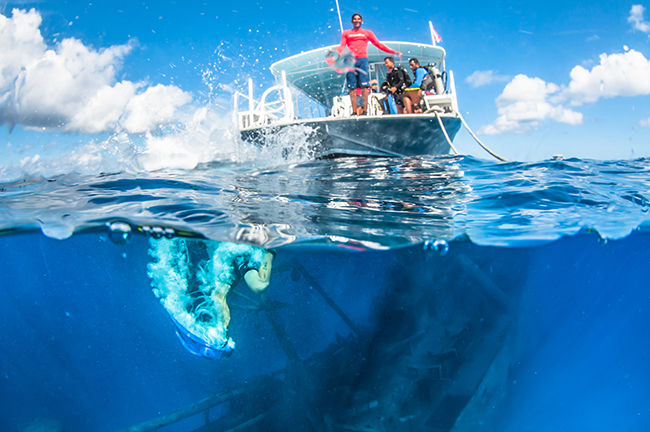 Occasionally a dive site or boat will offer a ladder for entering the water. 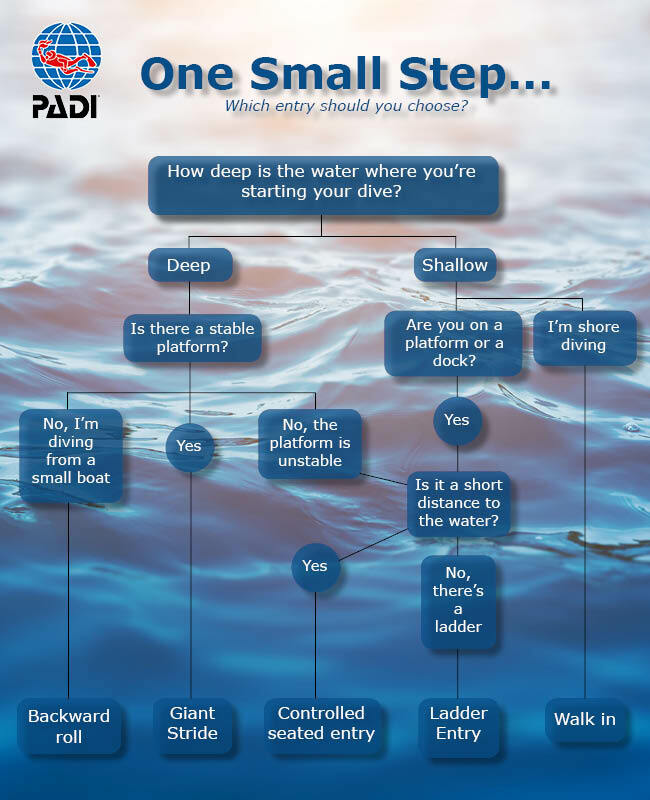 Be sure to do your research because not every ladder can accommodate a diver. Inflate your BCD so it floats. Enter the water with your mask, fins, and snorkel. 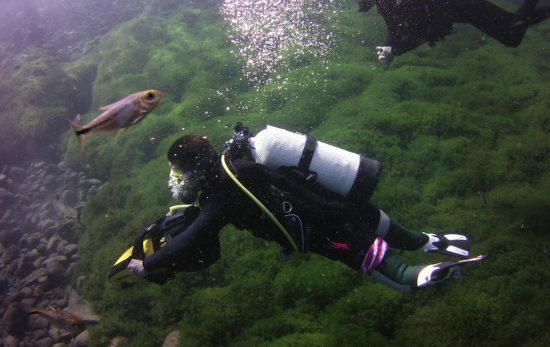 Put your gear on at the surface of the water. 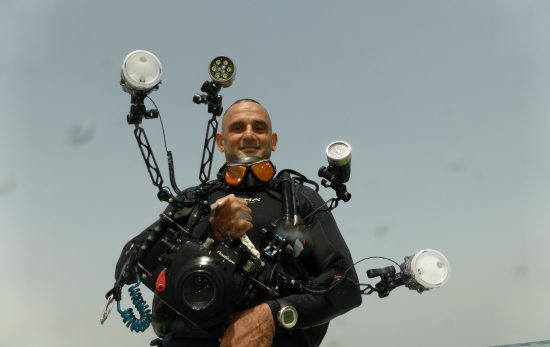 This is a good one for divers with bad backs. If you’re not sure which entry method to use, follow the flow chart and pick the best option. If it’s been a while since you’ve practiced your entry techniques, check out the PADI ReActivate program. 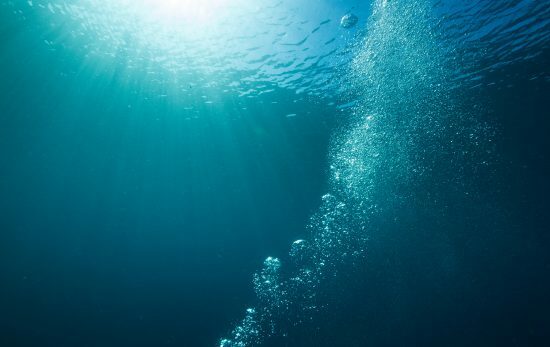 Once you’re in the water, check out out blog ‘It’s Time to Get Out – Diving exits explained‘ for more info on how to get out!